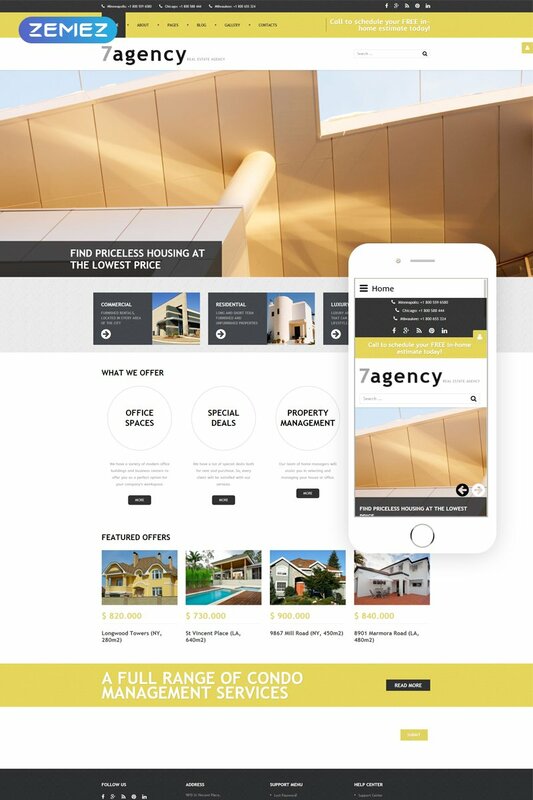 If you want to boost conversions of the website - find a real estate responsive Joomla template with something that would attract a viewer's attention at the same moment that he opened a website. A "contact us" form seems to pop up sooner than the rest of the design and definitely impacts peripheral vision of your visitor. After it, you'll see the rest of the web design: a depth-adding Parallax effect, clean square form of a drop-down menu, a call-to-action on the top right corner of the site. Don't forget to check out the round buttons with a hover effect which are irresistible to click. After Business Company Joomla template purchase you can put your copyright to the template. But you cannot place a line at the bottom (or any other spot) of the customized project saying "Website design by Company name". Nevertheless, you can place "Customized by Company name". Can I put a line at the bottom ( or any other spot) of the customized Joomla template for Business & Services "Website design by Company name"? No, you cannot place a line at the bottom ( or any other spot) of the customized Joomla template for Business & Services saying "Website design by Company name". Nevertheless, you can place "Customized by Company name". 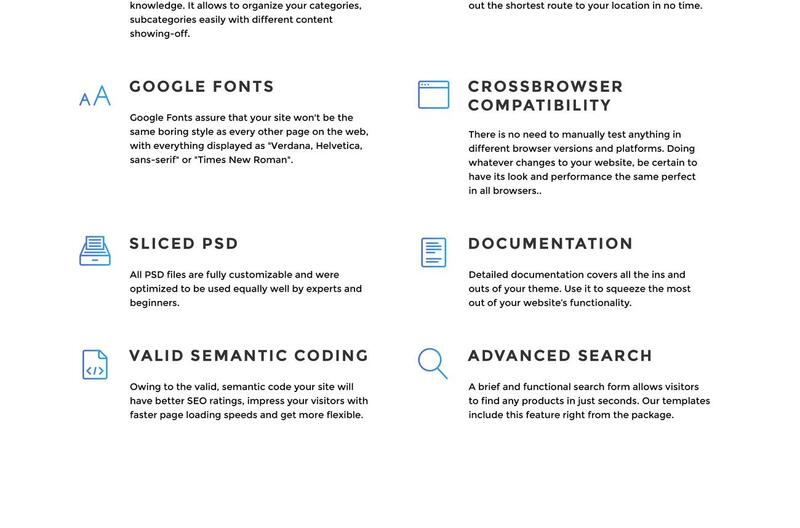 Can I put a line at the bottom (or any other spot) of my new product "Website development by Company name" after purchasing Joomla design theme for Real Estate? Yes, you can place a note at the bottom (or any other spot) of my product "Website development by Company name". Nevertheless, you cannot place "Website design by Company name" while using one of Joomla design theme for Real Estate. Wonderful template and very functional! The documentation is simple and very helpful too! I bought it for a customer, I really worked a lot on it and after I understood the way it was produced it was really nice! !